In a hurry? 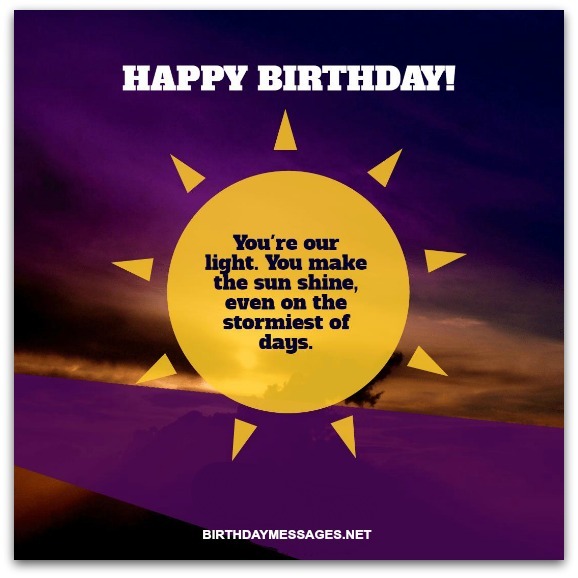 Choose from the best short birthday wishes online — in seconds — right here. Whether you would like to send your birthday wishes via text, Facebook, Twitter, Instagram, Snapchat, Pinterest or LinkedIn, you'll find exactly what you need on this page. 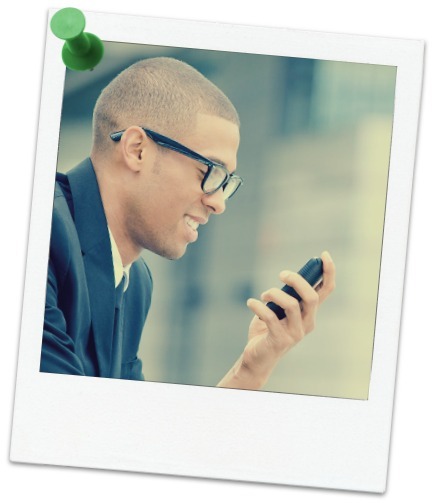 Make your friends, family and loved ones instantly feel special on their birthday. Right below are a wide choice of original, beautifully written, short birthday greetings (birthday wishes that are 110 characters or less) you can send them. 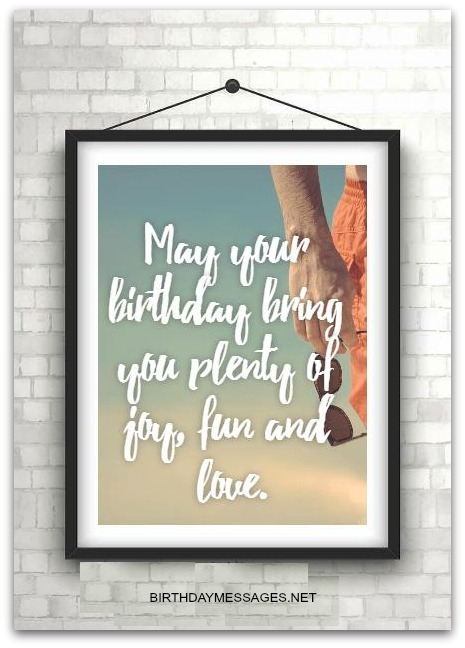 Short birthday wishes, when written well, can be just what you need to make your loved ones feel special on their birthday, but they should only be used in special circumstances (in my opinion). 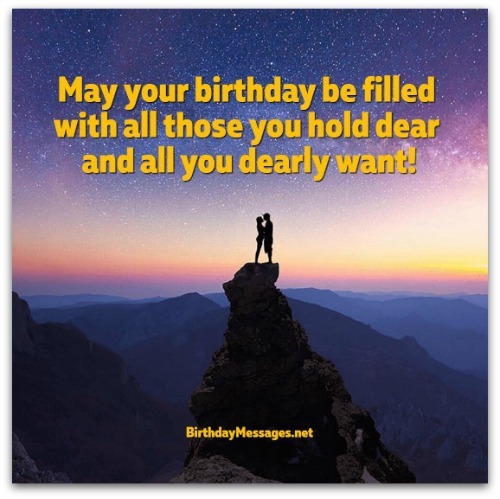 Personally, I prefer short birthday wishes when I send my birthday greetings to family, friends, lovers and colleagues via text, Facebook, Twitter, Instagram, Snapchat, Pinterest or LinkedIn — when brevity is essential. 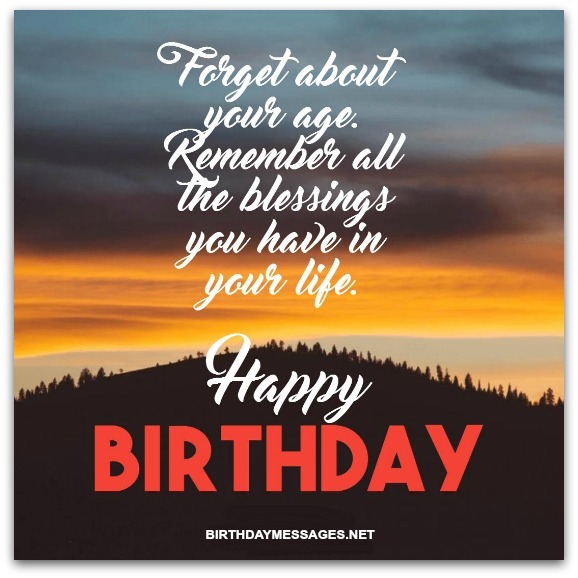 You really shouldn't opt for short birthday messages when you can use a greeting card or eCard to send your birthday wishes, since you will have more room for a long birthday greeting, a much better way to fully express how you feel about the birthday boy or girl. Accept the past and embrace the future. The best of life is yet to come. Happy birthday. Forget about your age. Remember all the blessings you have in your life. Happy birthday. You've been blessed with wonderful memories. Keep making them. Happy birthday. Life is short. Embark on as many adventures as you want, as long as you can. Happy birthday. Jump in, head first, whenever you can. Life should be an adventure. Happy birthday. Happy birthday to a champion who knows what real victory is all about. Every birthday with you is a bundle of joy, just like you. Happy birthday. You're our light. You make the sun shine, even on the stormiest of days. Happy birthday. You deserve a huge celebration. Happy birthday. May you find real joy in every moment. Happy birthday! Wow, you’re still the beautiful, honest and caring person you were the day we met. Happy birthday! Wishing you the happiest of birthdays, today and every year, for the rest of your life. My birthday wish for you is the same every year — be well, be kind, be happy. May you never stop dreaming, even when all your dreams have come true. Happy birthday! May you always be surrounded by beauty, joy and wonder. Happy birthday! May your birthday bring you plenty of joy, fun and love. May this special day be the sweetest of your birthday celebrations. You deserve only the best of everything true and good! Happy birthday. What do I love most about the short birthday wishes below? What do I love most about these short birthday wishes is their universality, despite their length, which could have truly hampered their appeal. But that's not the case here. Feel free to use them the next time you wish your loved ones a very, very, very happy birthday from the heart. Here's to your special day, a birthday packed with everything you love and enjoy. Wishing you a birthday filled with the love, passion and success you deserve. Hoping your birthday day is as amazing as you are to me. May you have many more birthdays to brighten up everyone's life. Happy birthday. Hoping you have decades upon decades of birthdays to fill the world with joy. You are the shining thread in the tapestry of our lives. Happy birthday. Happy birthday. Enjoy the ride today and the journey forever tomorrow! Happy birthday. Today is the day we celebrate your arrival on earth. Oh, happy day! You've always been a blessing and inspiration to everyone around you! Happy birthday. You are a wonderful person. May you have a wonderful birthday and life. May you celebrate more than a century of birthdays to make all your dreams come true. The sun is shining more brightly today, only to wish "Happy Birthday" to you. Hoping all your birthday wishes take flight, bringing you ever higher, until you can touch the sky. Count and celebrate your blessings every day, especially on your birthday. Happy birthday. Happy birthday. Celebrate your special day and everything that makes you even more special. Sending birthday wishes your way for the best of everything your big heart desires. May you have a beautiful day and year ahead. Happy birthday. May your luck last until all your dreams come true. Happy birthday. Enjoy your birthday and every birthday delight in store for you. Let your age be a reminder of everything you have been blessed to enjoy in life. Your birthday is going to be so great. I'll make sure of it. Happy birthday. Don't stop looking for the best birthday wish! It's time to put on your birthday party hat and get your birthday celebration going! May happiness and excitement find you on your birthday and all year-round! In lieu of a birthday gift, here's a birthday wish that will last you all year long: Happy birthday! On your special day, I hope you get the chance to spend every moment with the people you love! I only have the most special of birthday wishes for a person as special as you! Happy birthday! 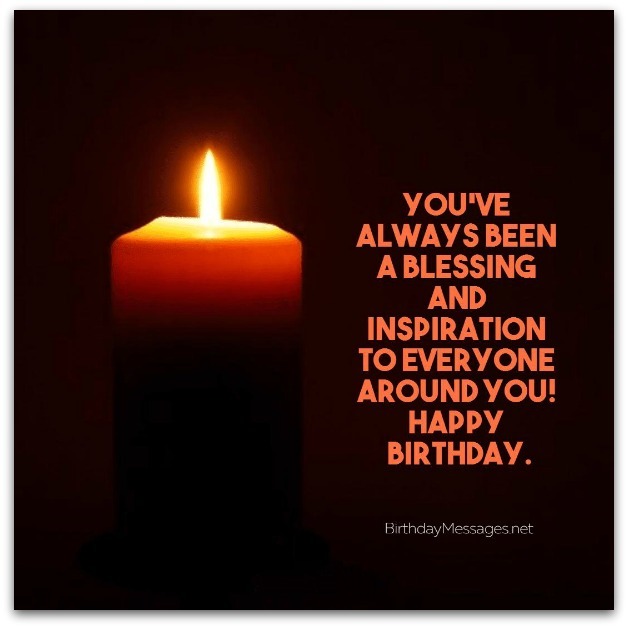 May your birthday be filled with all those you hold dear and all you dearly want! Congrats on your special day! Today, as always, you're top in my thoughts and top in my heart. Sweetheart, I'm the luckiest person in the world to have someone as special in my life. Happy birthday! Wishing you a birthday fit for royalty, with only the finest things in life at your fingertips! Wishing you a special day and year packed with what matters most in life: real friends, real love and real joy. Hope you have the brightest of birthdays! Wishing you the sunniest of birthdays! Have an amazing birthday today and an even more amazing year. May you celebrate many birthdays to come! On your birthday, I wish you sweet little moments and great big memories that last a lifetime. Hope you create incredibly unforgettable moments on your birthday! You deserve every second. My best wishes for you on your special day and the year to come. Wishing you the best of health, happiness and success all your life, starting today. Here's to you! Celebrating the day you were born is special to us! Happy birthday! May this year's birthday be the start of a life lived perfectly, richly and happily. Let's fill your birthday with happy moments, unforgettable memories and soaring dreams. You’re not old. You’re the epitome of youth and beauty. Happy birthday! Wishing you a wonderfully happy birthday and many more wonderful years. May every hour of your birthday be full of all the people and things you love in the world. Wishing you every ounce of fun and adventure you can squeeze out of your birthday. It's your birthday, so you can celebrate with all your heart and soul! I know I will. Happy birthday! You get younger heart with each passing year! Hoping you enjoy every second of every hour of your birthday. On your birthday, you were born to celebrate. Let's party now! Your birthday is only once a year, so let’s make it epic. Wishing you all the birthday wishes you've ever had will come true today. Today's your birthday. Today's the best reason to celebrate you. Lots of people want to wish you well on your birthday (I'm first in line). Happy birthday! I just wanted to be the first to say "happy birthday" to you. Enjoy every moment! May the best of your birthday past be the gold standard for many birthdays to come. May your birthday be crammed with the excitement, joy and laughter you've always imagined. Happy birthday! Don’t count your years. Count every blessing that has brought you here today. Your birthday is not about birthday cake, gifts and balloons — it's about sweet, adorable you. 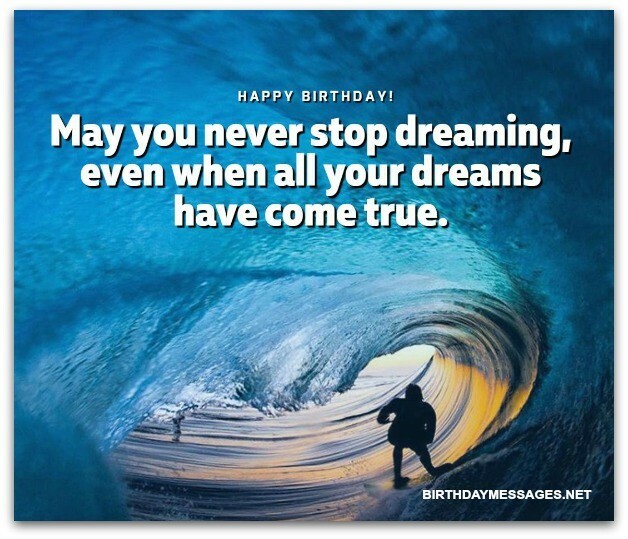 Wishing you a "happy birthday" with the power to make your special day truly amazing. Happy birthday. May you continue to love life and make the world a better place. May beauty, joy and health be yours on your birthday and every day afterward. Happy birthday. Let's celebrate the happiness, love you bring this world every day. Happy birthday. Forget the troubles of the past and remember all the possibilities in store for you. Happy birthday. Don’t every change. You're perfect. Hope your special day blossoms into the birthday celebration of the decade. You deserve it. Ever wonder if your Facebook friends like your birthday wishes? You should. According to a recent article in The New Yorker, the type of birthday wish you add to your friend's Facebook page says more about yourself than you think. Click right here to read this article...and avoid adding birthday greetings that reveal a little too much about yourself.